Very large churches are sometimes accused of being shallow. A mile wide and an inch deep. There is certainly truth to that potential, but I have found that many of the driving characteristics that allowed a church to become 2,000 or more people, or 10,000 or more, include a discipline and depth that brings much integrity to their ministry. Nonetheless, the risk of shallow is a real one. Growing a local church always involves risks and trades; there is no perfect plan. But the trades are not an either/or situation. The primary and most common trade is the willingness to risk depth of discipleship (spiritual formation) for reaching more people. These two will live in tension, however they are not mutually exclusive. To reach more people risks depth and community. To maintain closeness and intimacy risks reaching more people. There is no perfect formula. Let’s be candid, there are small churches that are shallow and large churches that have depth. Just as there are large churches that are stuck and no longer reach new people, and many small churches that are growing like crazy by reaching new people. Ah, and when that’s true, the small church becomes larger! Then the risk is simply swapping one trade for another. Personally, I think generalizations are unwise, but I understand why we make them, and they often provide for provocative and productive conversations. So for that conversation, let’s focus on the question of depth in spiritual formation within the megachurch. 1) The church will never have more depth than its leaders. I’m privileged to serve under a leader of great wisdom, depth and discipline. 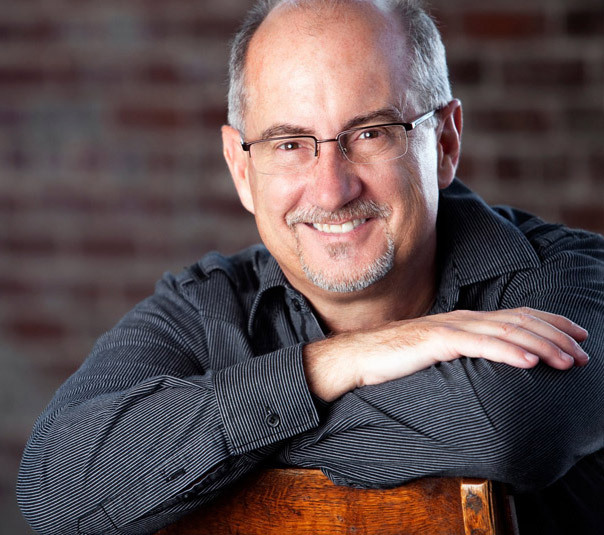 Kevin Myers is the founding and senior pastor 12Stone Church, a megachurch located in the suburbs of Atlanta. Kevin has a strong and vibrant prayer life, chases God with passion, and lives with great integrity. Those qualities are infused into the DNA of the church. The wisdom and insight that God grants him, whether in a board room or teaching on Sunday morning, is truly Holy Spirit driven. Kevin would tell you, and so would I, that it is certainly more difficult to drive depth in churches that grow larger and larger, but that’s why we keep leaning in and leading! 12Stone Church has its flaws, but being shallow, easy or “all show” is not among them. Guests, including pastors, nearly always include among their first comments, the sense of spiritual intensity. It all starts with the leaders. 2) To stop reaching more people is to become shallow. In my opinion, we don’t have a choice. The Great Commission (Matthew 28:19-20) is clear; to make disciples! But we can’t forget that includes evangelism. The Great Commission never instructed us to disciple the same people with the same programs in the same ways over and over again. You and I are passionate about the process of spiritual formation in the life of a “disciple” of Christ. A Christ-follower. Spiritual formation begins with conversion! Candidly, if we have the same people in the same Bible study for years on end and nothing changes (the church or the people), maybe that is shallow. The New Testament is filled with stories of miracles, life change, and reaching people. Yes, the churches from Ephesus to Corinth were filled with flaws, but reaching people was the purpose of the gospel. 3) Speed and pressure create the tension. The process of spiritual formation is not any easier in a smaller church, people are people. But the smaller church does not face the complexity of speed and pressure in the same way as found in mega-churches. The forming of someone’s spiritual maturity takes time, nurture and care. 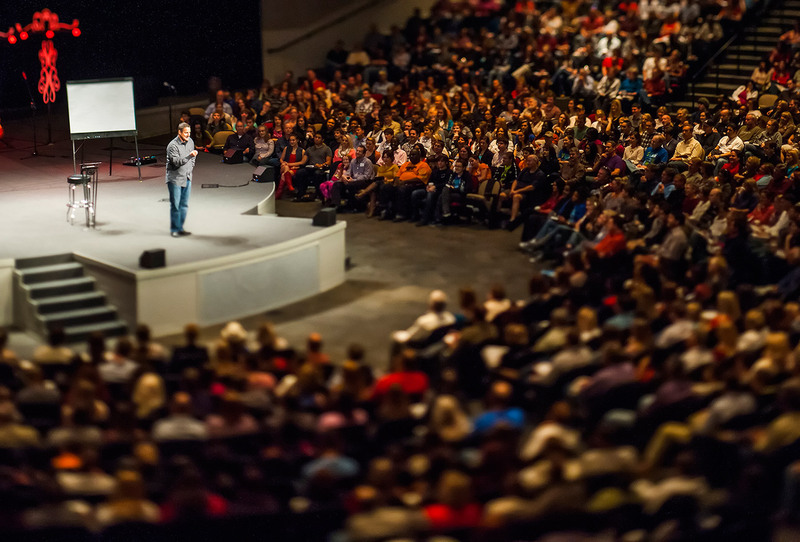 These things are not absent, or less in heart and culture in a megachurch. But the finite nature of time has objective limits. The larger a church becomes, the scarcer the precious commodity of time becomes. 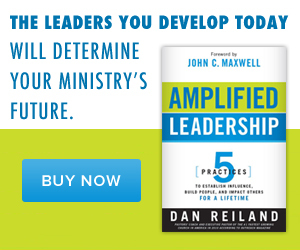 The primary solution is raising up and developing capable volunteer leaders who have a heart for leading others in their spiritual journey. 4) Don’t confuse depth of spiritual formation with complexity. In my earlier years I have been included among those who designed and produced a process of spiritual formation (discipleship), that was more complex than plans to launch a space shuttle for weeks of orbit. It took me some time to learn that complexity didn’t equate to depth. In fact, it is the opposite. Like preaching shorter is more difficult than preaching longer, a simple (not simplistic) process requires massive thought, experimenting and continual innovation. The best processes are seamless and easily communicated. They don’t need a chart. At 12Stone, we focus on two things, small group life and serving. That’s it. Is there more to spiritual formation than that? Of course! But we build all these things into those two large components of Christian community. In addition, we employ a short front-end process that focuses on serving guests well and inviting them to what we call our “How To Experience.” It’s an on-campus, three-session, round-table conversation designed for anyone who is looking to connect with God, grow spiritually and live with purpose. We try to make it easy for people to find their way. More importantly, the leaders know how to point the way, take a hand and lead. 5) Maturity is difficult to measure. We never want to stray from biblical standards, but be cautious of long lists. Well intended commitment to scripture can quickly turn into a pharisaic list of to-dos, then maturity can become works oriented. If you want a list, I recommend that you go with something as simple as prayer and evangelism for evidence of maturity, or perhaps the fruit of the Spirit (Galatians 5). Another way to measure spiritual growth (spiritual maturity) is from spoon fed (baby Christians) to self-led. The self-led Christian takes responsibility for their own continued spiritual formation. The church for them is simply the environment that resources, encourages and inspires their continued growth. A third way to measure maturity is clean, clear and simple. It is stories of life change. After all these years and practicing all these and more, it is the one I prefer most. Capturing and telling stories of changed lives is compelling; it embodies the vision. I find it to be the most comprehensive, organic and practical approach. There is no list, and yet you have all of Scripture you can apply. Further, the idea of self-led is easily taught and incorporated. Spiritual formation is not static. None of us ever arrive. However, scripture makes it clear that maturity can be achieved. If you are part of a megachurch or perhaps you lead a smaller church and sense a need to strengthen your spiritual formation, I trust these are helpful to you.